Once a month, we volunteer our time to take photographs of a homeless animal in the hopes the images will help them find a loving home. But, October, with the rush of family holiday photos and weddings in the golden aspens, got away from me and I somehow had not lined up an animal to photograph. It’s funny how the universe takes care of my absentmindedness, because that day, I got a call from my friend, Becky, about a very special dog named Gonzo. She had just returned from her veterinarian’s office where she had met a sweet, older, three legged dog that had been surrendered by his owner I’ve known Becky for a long time, and we share a sense of community, a passion for the arts and the idea that every homeless animal should have their own family. “Gonzo’s too special to live his life in a kennel“, she said. When she said that, I knew I had to rearrange my schedule to go out and photograph this dog to hopefully, find him his forever, perfect home. I met Gonzo this past Friday at Aspen Veterinary Clinic where I found out that every employee there was 100% smitten with him. So, when my husband, Grant, and I finally got to meet him, we had high expectations. As soon as they opened the kennel door for Gonzo to meet us, he quickly bypassed the treats we offered, but instead, crawled straight into Grant’s lap. Yes, a special boy indeed. I also found out Gonzo’s history. 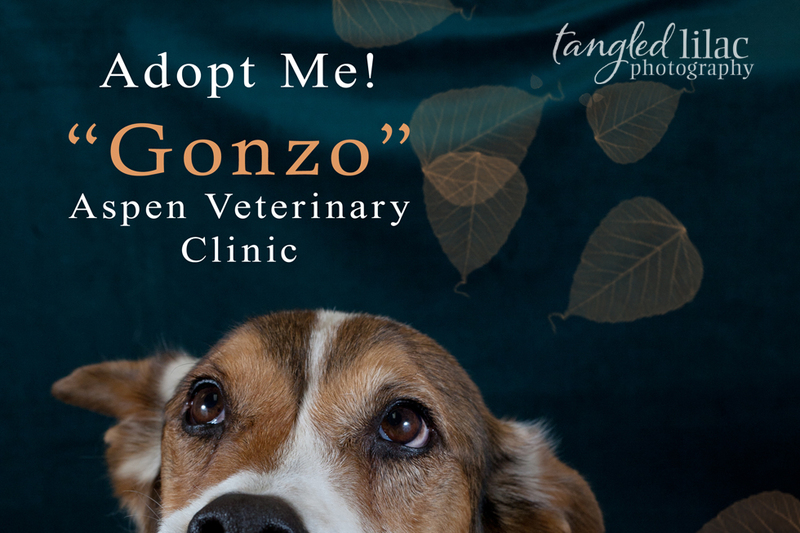 About 9 years ago, Gonzo was found on the San Francisco Peaks with a fractured leg. A kind stranger brought him to Aspen Veterinary Clinic where the decision was made to amputate his leg due to the severity of his break. Gonzo was adopted after this, and for 8 years had the blessing of a home and a family. Then, recently, in a crual twist of fate, his owner had to move, and the current landlord will not allow dogs. So, Aspen Veterinary Clinic took Gonzo in once again. 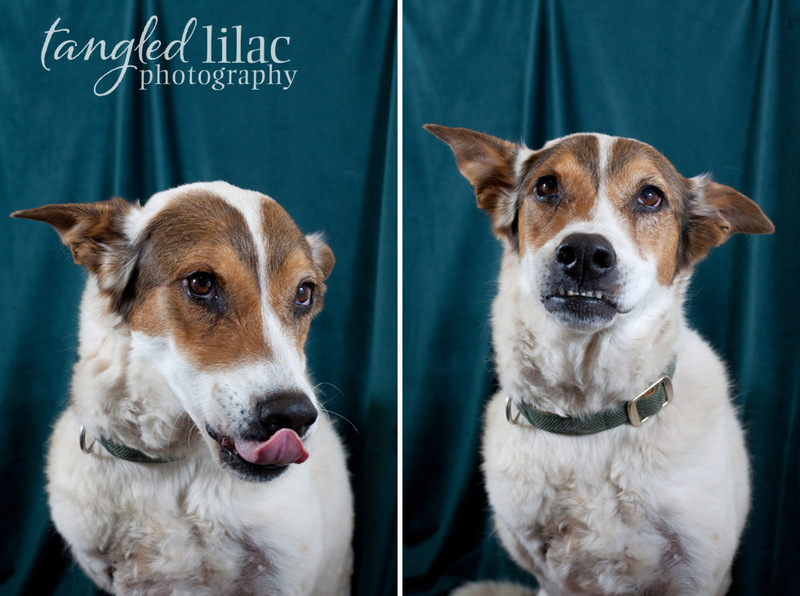 They are taking great care of Gonzo, but life in a kennel is stressing this older gentleman. So, the search for a new, loving home is underway. 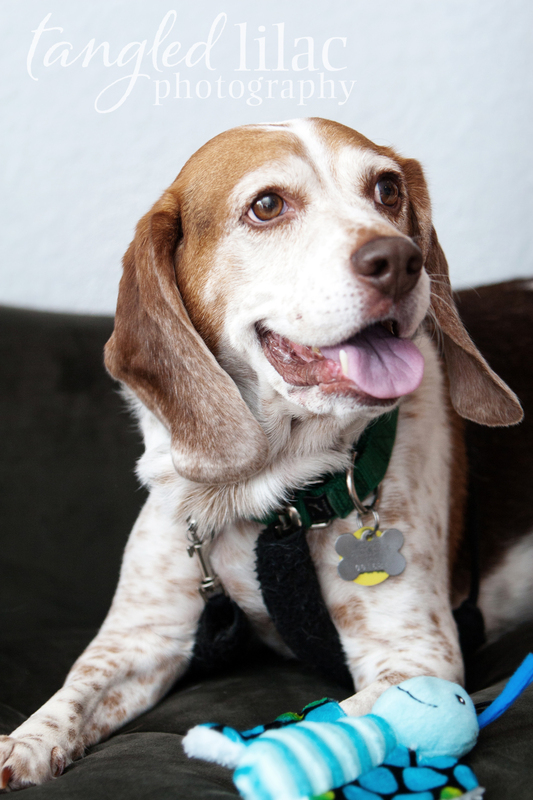 Gonzo is about 9 years old and would enjoy a mellow home where he could do lots of cuddling. Like any dog his age, he’s slowing down and entering doggie retirement, but he does enjoy walks and hikes. And, boy oh boy, does he just love to gaze into your eyes and let you know just how much he loves you. 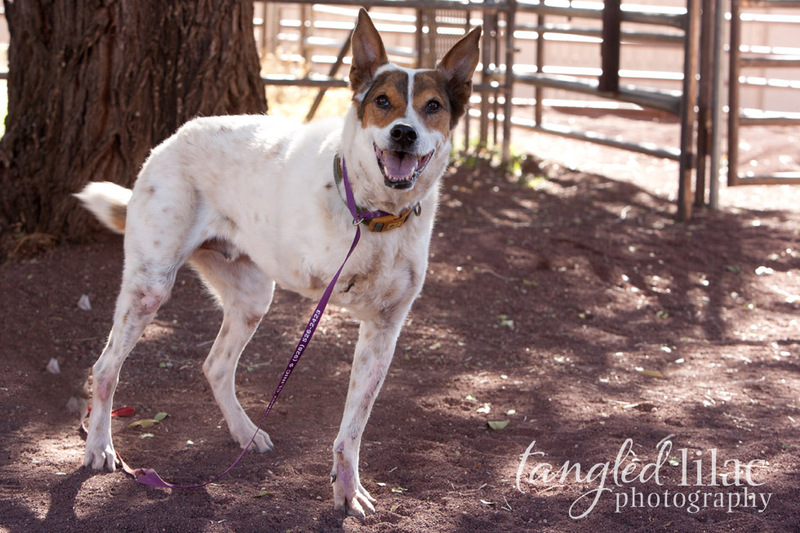 If you’d like to meet Gonzo, or have any questions abou him, please contact Aspen Veterinary Clinic at (928) 526-2423. I made a promise to Gonzo, and I promised him that I’d help him find a home of his own, and a family that adores him. Could you help me by sharing this post? 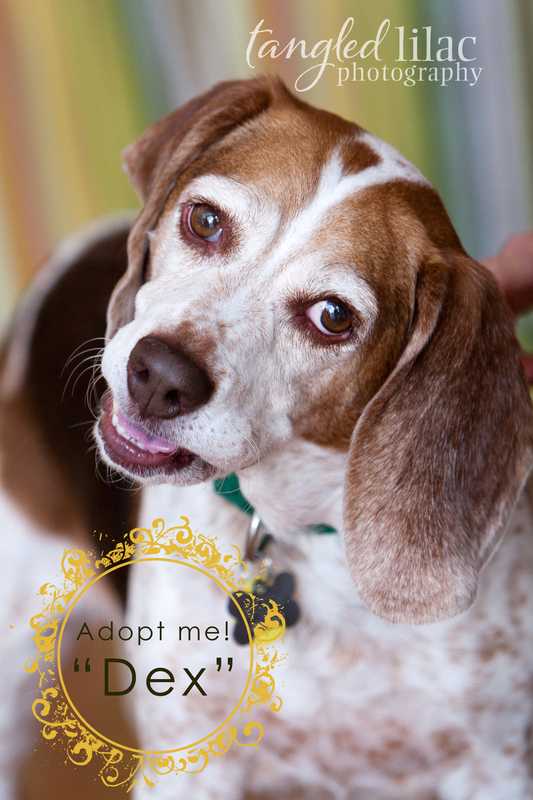 I love this project of helping animals find their forever homes. Not only have I met some of the sweetest animals, but I’ve also met some of the kindest people along my journey. 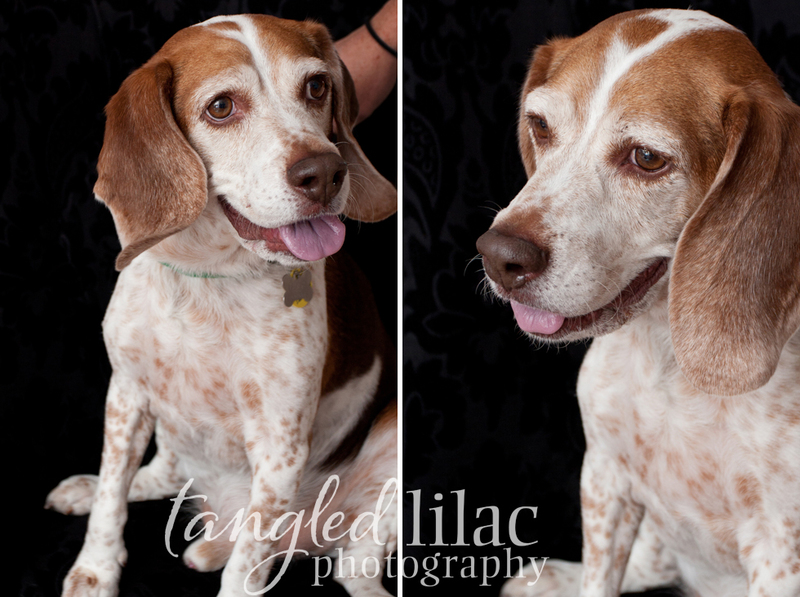 Last week, our clients turned friends, Alicia and Kyle, took time out of their busy chiropractic clinic to bring this adorable beagle up to our Flagstaff studio to be photographed. 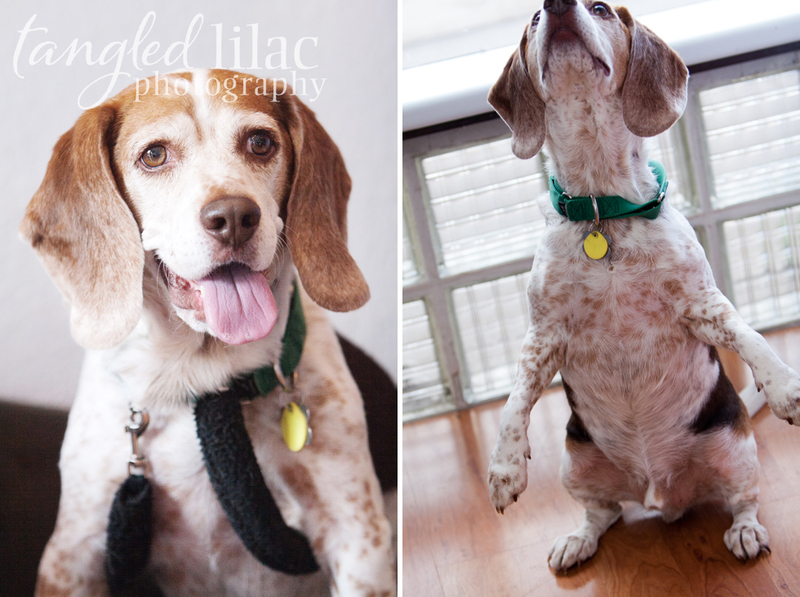 Alicia and Kyle are fostering this sweet boy from the Arizona Beagle Rescue and wanted to show off to the world just how sweet and adorable this boy really is. I was kid-sitting my sweet “nieces” Sophie and Chloe that day too so I got to see just how much Dex loves children too. My client turned friend, Alicia, sent out an email this week about needing a pet sitter for a few days for this beautiful girl, Holly. Holly is a pup whose fate was saved by the good folks at Golden Bone Rescue and Rehab. She’s from Holbrook and was leading a rough life until she and her sister, Heather, were rescued. Now, she’s in a foster home until she can find her forever home. Holly is a smaller dog, about 10lbs and one foot tall, unless, of course, she’s standing on her two back feet and then we think she’s about 4 feet tall! She’s very good with other dogs. We had her around our two big dogs, and met others on the trail, and she was calm and friendly. She’s very good with cats and hardly gave our three any attention at all. This is very impressive given that one of our cats, Boots, would walk up to Holly and just sit in front of her. Holly is a love bug. If you’re sitting or laying down, she wants to be near you. 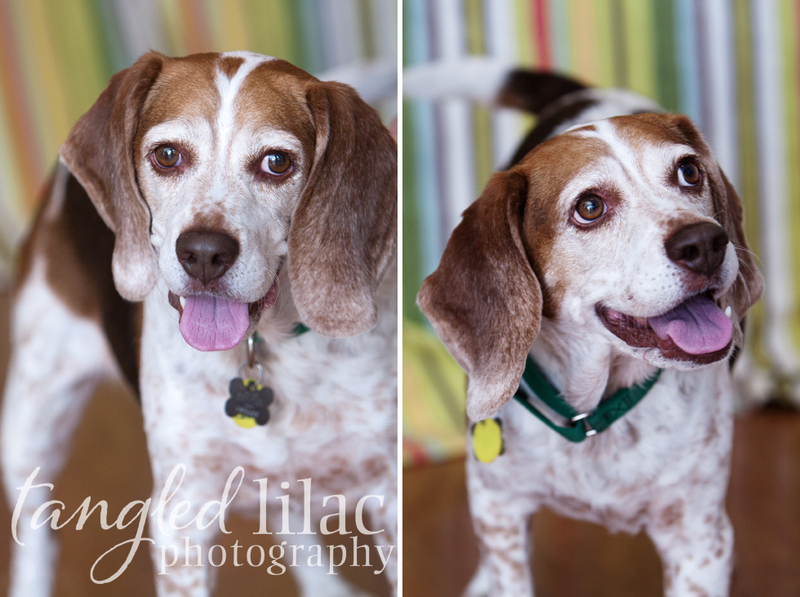 And, she’ll smother you with doggie kisses until you cry from laughing! Don’t let Holly’s small size fool you, she’s one of the fastest dogs I’ve ever met! She LOVES the trail and really enjoyed all the walks we took in the Coconino Forest. And, as you can tell from my Easter Bunny photos below, she is very, very patient with people too. If you, or someone you know, would like to meet this special dog, please contact Golden Bone Rescue and Rehab. They can arrange a meeting for you and Holly and give you specifics about adoption. Or, if you can’t quite commit to adoption, contact them about their foster program or other ways to volunteer. They are always looking for people to help! For more photos check out Facebook!